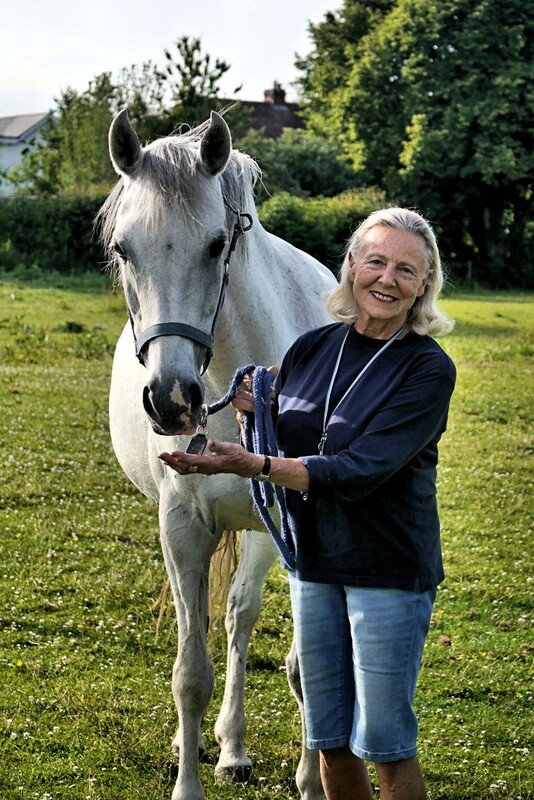 My mum was diagnosed with stage 3 bowel cancer in the spring of 2012 at the age of 75. I was with her when she got the bad news, after having had an endoscopy. She'd been having problems going to the loo. The initial shock left her frazzled and, understandably, she had difficulty in taking it all on board. In the September she had a successful operation to remove a section of her bowel. However, prior to her bowel operation it was discovered that the cancer had spread to her lungs as a secondary cancer, now becoming stage 4. Over the next four years she had four further operations on her lungs to remove cancerous nodules. Each time she came to resume a normal life, she was more concerned about when she could ride her horse Shimara and begin to drive again. Towards the end of 2015 the cancer spread to her brain, and she had Cyberknife treatment on the two lesions. Sadly one of lesions didn't respond and her health deteriorated. She experienced a number of seizures and in June 2016 a huge seizure left her paralysed down one side of her body and she was hospitalised. The initial shock left her frazzled and, understandably, she had difficulty in taking it all on board. 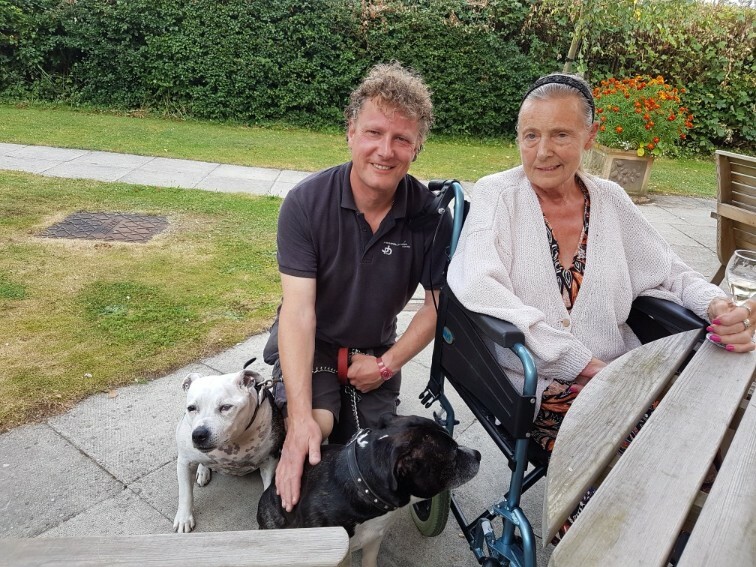 Her condition became terminal, and she peacefully passed away in August 2016 at the St, Marks Nursing Home in Maidenhead one week after celebrating her 80th birthday. During mum's illness I began fundraising, and this has continued with even more passion and determination since she died. I find it cathartic, and I have met some amazing people in the cancer community. So far I have published two fundraising books, 'Lives & Times' & 'Beating Bowel Cancer', both of which are available on my bowelcancerfundraising.co.uk website. I also sell t-shirts, hats, mugs and art on the site and the proceeds of all sales are now donated to the newly merged Bowel Cancer UK and Beating Bowel Cancer charity. I am now also doing a third fundraising book, which will be called The Record. The idea for the book is that I photograph people and write up about their experience in anecdotal form. The book will feature people from all walks of life, including some well-known names.